Qatar’s sports broadcaster beIN has launched a $1bn compensation claim against Saudi Arabia, accusing it of “breaching international law” in relation to the streaming of sporting events beIN owns the rights to. Separately, on Monday, Qatar launched new proceedings against Saudi Arabia at the World Trade Organization (WTO), accusing the kingdom of intellectual property rights violations. Both actions were announced in statements, although it is not clear where the compensation claim will be heard. It is the latest escalation in the ongoing Gulf diplomatic crisis, which began on June 5, 2017, when Saudi Arabia, along with the United Arab Emirates (UAE), Bahrain and Egypt severed diplomatic and trade ties with Qatar, imposing a sweeping embargo on the gas-rich nation. The blockading quartet accuses Qatar of having close ties to regional rival Iran and harbouring “terrorist groups” – allegations Doha strongly denies. Qatar’s economy ministry said in a statement on Monday that its representatives submitted a formal request at the WTO headquarters in Geneva, Switzerland, raising concerns over Saudi Arabia’s diplomatic, political and economic measures against Doha. “Saudi Arabia’s actions represent not only a violation of Qatar’s trade rights, but also affects the rights of other trading partners,” Qatar’s economy ministry said. “The new dispute focuses on violations with respect to protection of intellectual property rights in the kingdom,” it added. Part of Qatar’s concerns involve the blocking of Qatari broadcaster beIN in Saudi Arabia, the ministry said on its website and accused Riyadh of refusing to take effective action against the pirating of beIN content in the kingdom. In addition to the WTO action, beIN said it was being used as a “political football in a wider regional dispute” and announced it would seek more than $1bn from Saudi Arabia over the piracy claims. “beIN Corporation (beIN), today launched an international investment arbitration against the Kingdom of Saudi Arabia for damages totalling more than US$1 billion, having been unlawfully driven out of the Saudi market and subjected to what has been described as the most widespread piracy of sports broadcasting that the world has ever seen,” beIN said in a statement. Saudi officials have not issued any response to the Qatari initiative and statement as yet. BeoutQ, a 10-channel system broadcasting to the Middle East on the Arabsat satellite operator, is allegedly being broadcast from Saudi Arabia. 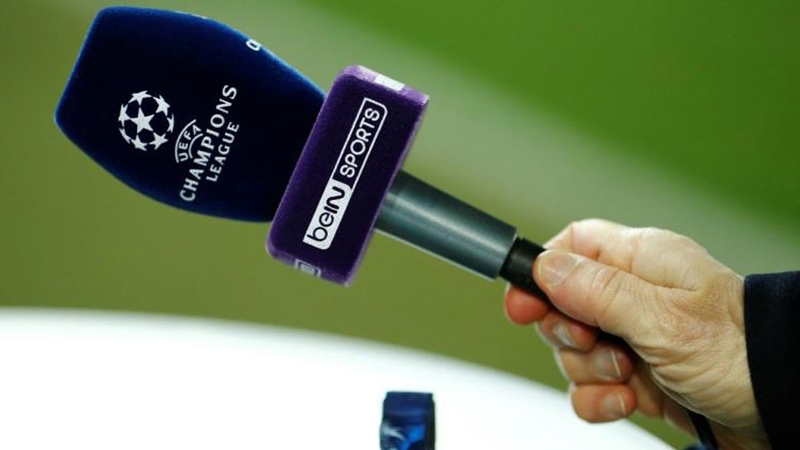 BeIN Media Group, the Qatar-based sports network that holds exclusive rights to broadcast all major international sports events to the MENA region, has claimed beoutQ is stealing its signal and broadcasting it as its own. The piracy row between Doha and Riyadh escalated during the FIFA World Cup in Russia in June, when beoutQ illegally distributed the football matches in the Middle East. FIFA, football’s governing body, said in July it had engaged counsel to take legal action in Saudi Arabia and urged Saudi authorities to help in “the fight against piracy”. Other sports federations also issued similar statements, condemning beoutQ’s pirated coverage in the MENA region. Meanwhile, Saudi Arabia has denied claims that beoutQ is based in the kingdom, and distanced itself from its operation. Sheikh Ahmed bin Jassim bin Mohammed Al Thani, minister of economy and commerce, said Saudi Arabia’s “failure to comply with its commitments in terms of protecting copyrights, radio and television broadcasting rights, and trademarks” has caused “significant commercial losses for Qatari citizens and entities”.